I'm sure it would work with your procedure. I had doubt about "/tmp/flash_erase /dev/mtd0 0 4". And I thought just for educational purpose, someone would analyze whether if it would work or not. IOTW, can this uBoot image be flashed the same way we ususally do with Jeff install script "install_uboot_mtd0.sh"? I guess I just need to study your procedure and see if I understand it first. Thanks for all your hard work on this .... I had a look at your dropbox account but could not see any files for PogoPlug Mobile (unless I missed a path in there somewhere). Should we just be using uboot.nandpogoMobile-MMC-mtdparts-NoUSB.kwb.tar.gz from your earlier posting on 21 April? I presume I don't need a UART connection if I am just taking the plunge and flashing nand image to nand. If I want to install archlinux, I presume I can follow the instructions at http://archlinuxarm.org/platforms/armv5/pogoplug-series-4 but modify the ppv4-install.sh to install your custom image instead. I don't quite understand the comment above about flashing it from within uboot. > Ooops, I'd accidentally turned off my Pogoplug. > incorporated in Jeff's installer. Edited 1 time(s). Last edit at 09/12/2012 12:26AM by bodhi. @Bodhi, how much do Jeff's scripts need to be changed to work with this? Changing Jeff's script should be straightforward, not a problem. The real concern is the flash_erase and nandwrite steps in the script. We need Davy's confirmation that those statements in Jeff's script will work with Davy's uBoot, or if we need to do additional steps. I'm not sure, so I thought it would be best that Davy would take a look sometime and instruct us. 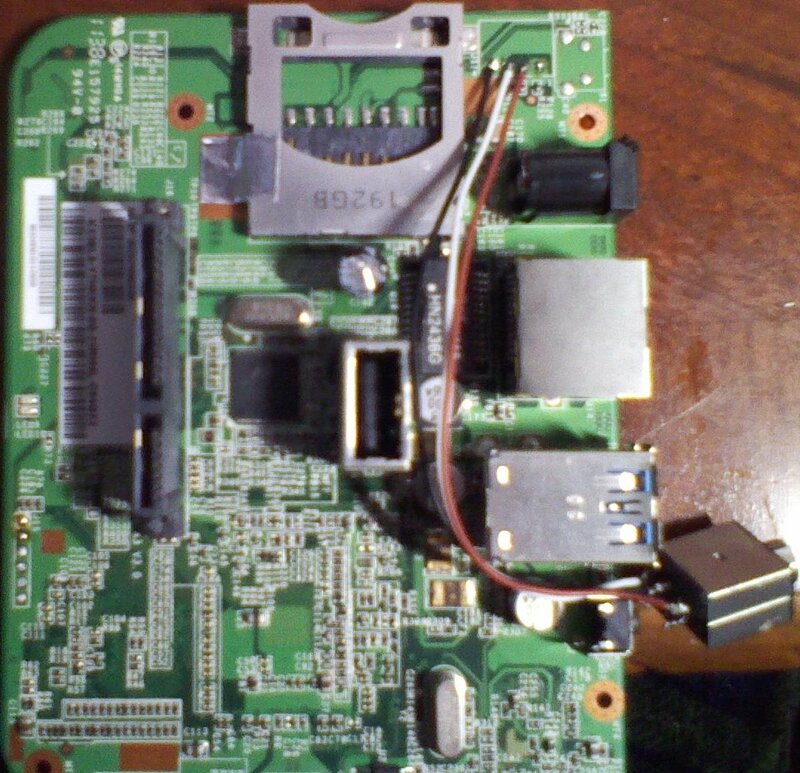 Because if we flash it in the wrong place, we would need JTAG to recover, no fun with that! How much did you pick up a mobile for? For anyone who needs the USB slot on the PP-mobile for something else, I can confirm that it boots OK from a USB hub. This might give you some breathing space until we're sure the version that boots from SD can be safely flashed on the PP-mobile. Is this UBoot version working for the Pogoplug Mobile? I'd like to try flashing it either with serial or netconsole. BTW, JR has this for 19.99 currently :-) It's a little bit under powered, but it's a pocket size, small, cheap and has SD. So I think a NAND installed like your MacPlug (http://forum.doozan.com/read.php?4,9422,9545#msg-9422) would be really nice to use in conjunction with an optional large rootfs on SD. It did work! I've installed Davy's UBoot and changed some UBoot envs while in serial console to allow it to boot to Debian. I've also learned that it did not work if we flash this UBoot from Linux command line (after installing ALARM), I think because the different in envs used in ALARM installation caused a checksum error during starting UBoot. Everything seems to come up OK in dmesg (the hidden unpopulated SATA ports, and the MMC). I've also learned that it did not work if we flash this UBoot from Linux command line (after installing ALARM). I believe I did use nandwrite without padding it! I was not clear about the part that was not working: I saw a "Bad CRC" in serial console when booting up, and UBoot loaded a default environment, so I guessed it must have been the environment that was bad. After that, while in serial console, I changed some envs and did a saveenv, and that fixed the checksum, since I got a clean boot after that. Did I understand it correctly? I got my first Pogoplug Mobile (POGO-V4-A1-01) last night and today I have spent on researching how to boot from the SD card, I have tried to flash a uboot with an fedora script (http://fedoraproject.org/wiki/Architectures/ARM/PogoplugUSBDisk), but the result was green blinking LED and no ssh access. I was able to revert to factory status and I have access again. I don't have a usb-serial connection. I'm getting confused with all the different procedures and models and reading this thread here, I notice links to third party documentation that makes understanding the process more cumbersome. Anyway, I feel lost now, although in general I'm very adequate with finding information and accomplishing my goals. You mention that you got this working, would you mind providing a guide with steps and links? > > It did work! > Bodhi, Excuse my inquiry. > have a usb-serial connection. > mind providing a guide with steps and links? If you don't have serial console, then currently you can only use Arch Linux ARM instruction to install Arch. But that UBoot version does not have ability to boot SD card! With Davy's UBoot version, you can boot with SD card, but you need serial console to flash it. Either way has some drawback. So if SD booting is what you really need, then I would suggest getting a serial module converter and install Davy's UBoot. > converter and install Davy's UBoot. Bodhi, would it be possible to boot Arch Linux ARM from USB drive and after that flash the u-boot partition with code that enables booting from SD card? At the moment, not possible. From what I can gather and understood, the reason is ALARM uBoot version is quite old (same as from the stock Pogo uBoot), and the uBoot envs checksum in that version is not compatible with one in the new uBoot. The stock uBoot uses blparam, while the new uBoot uses fw_env tools, and the checksum is at a diferrent location). So after you installed Arch, and at command line you then flash the new uBoot with flash_eraseall and nandwrite, you will have to also make sure its envs and checksum at the correct location while doing that, otherwise you won't be able to boot because of Bad CRC error during boot. But I'm not entirely sure, because I have not experimented enough with it to be certain. I think Davy can help us out and chime in here! Edited 1 time(s). Last edit at 12/22/2012 04:54AM by bodhi. Can you point me to where your Pogov4 uBoot image, and uBot envs image are? I'd like to try flashing it from Linux command line. Thanks! I've confirmed that Davy's uBoot can be flashed to the Pogoplug Mobile from Linux command line. I'm going to describe how I flashed it in this post along with the output of each command, so anybody who is interested and brave enough :-) with a fallback plan (i.e. serial console) can try. But before you do that, please read the entire post, and judge for yourself that whether it makes sense, before attempting. And please be aware that, as usual, there is no guarantee. It works fine for me, but if you don't have a mean to connect serial console now or future to recover from typo or things that might go badly in your setup, then perhaps you should not do it. - At this point, I believe you can boot with SD card. Because Davy's uBoot is set up for that. However, for me to get a warm and fuzzy feeling, I'd like to be a little bit more sure, so I flashed the uBoot envs image from Jeff's script. - At this point you can only boot with a USB rootfs, since Jeff's uBoot env image did not have MMC boot. - If you have a kernel that supportsPogoplug V4 then set arcNumber and machid. Warning: don't do this if you're not sure, because it won't boot with a vanilla kernel after the arcNumber changed from 2097. A vanilla Debian or Arch should boot fine with arcNumber 2097. - That's it! good luck, and please post questions or comments, if you have any, before trying. Edited 3 time(s). Last edit at 12/26/2012 04:09AM by bodhi. Thank you very much for this document, Bodhi! I noticed that you checked the script for errors, so I waited a few days. I have Debian Wheezy on my sd card in /dev/sda1, perhaps I forgot to make /dev/sda1 bootable, because it looks like the boot process is stuck. Anyway, with this output on my netconsole, I probably figure out what I did wrong. Edited 1 time(s). Last edit at 12/28/2012 03:49PM by bodhi. Congrats! chance is you will not need serial console for recovery purpose (if you don't mess with UBoot image in NAND). Nice to get netconsole working! Would it be safe to use Bodhi's magical script to install the netconsole enabled uboot on another device, like the PogoPlug-0E, which has the same cpu as the pink PogoPlug? With Jeff's uboot installed, I only need to do these steps? Yes, after installing with Jeff's script, uBoot installation is done for the Pogo E02. You would need to setup netconsole with the above setenvs. After booting with the cloned rootfs, only arcNumber is need to be set if you have a rootfs that supports the Pogo E02. If your rootfs does not have Pogo E02 supports, then leave it as 2097. On the Pogo E02, the LED light can be controlled with arcNumber 2097, but it will be limited, not fully controlled as with the correct arcNumber. got this little cutie for 19.99$ on Amazon. My goal is to boot Arch Linux, from sd off course. 1. I couldn't get access to the sd card with fdisk on the original Pogoplug linux, I tried basically almost all the devices under /dev, is this normal ? as described on Arch Linux installation guide. Is there's a guide on how to flash and set the original uboot ? Where can I get the original uboot ? I only found the sources on Pogoplug site. Can I read it from my device prior flashing the new uboot ? 3. Any advancement made on getting the sata working, meaning maybe the Arch Linux devs would finally adopted this uboot (p.s. I also got the non Mobile device with the esata port). I'll probably would have more questions after I'll brick my device.